Online course instructors crossing the road at the University of Toronto campus. Each year over 2,000 undergraduate students are enrolled in more than 2 dozen biochemistry courses offered by the Department of Biochemistry at the University of Toronto. These include first year medical students who receive instruction in biochemistry lectures and seminars. The team of instructors for this online course includes award-winning professors, lecturers, and teaching assistants from within the Department, as well as a biochemistry professor who is also a medical doctor. Read more about the individual instructors below. Dr. Reinhart Reithmeier obtained his doctoral degree working on bacterial outer membrane proteins. Following post-doctoral fellowships at Harvard and the University of Toronto, he joined the faculty at the University of Alberta where he developed his research program on the structure and function of membrane transport proteins. He joined the University of Toronto in 1986 where he continues his research on membrane proteins. An active and enthusiastic teacher, Dr. Reithmeier has taught biochemistry at the graduate and undergraduate level. Dr. Reithmeier is a recipient of the prestigious W.T. Aikins Teaching Award. The Reithmeier Lab is interested in the structure and function of membrane proteins, in particular, the chloride/bicarbonate anion exchanger (AE1, Band 3). The Band 3 glycoprotein of the erythrocyte membrane is responsible for the exchange of chloride and bicarbonate across the plasma membrane, a process necessary for respiration. A truncated form of the protein (kAE1) is expressed in the kidney where it plays an essential role in bicarbonate re - absorption. Dr. Roy Baker completed postdoctoral work in the areas of brain lipid metabolism and synaptic transmission. He joined the University of Toronto as a research scientist in medicine and biochemistry. Dr. Baker has taught a variety of courses within the faculties of arts and science, and medicine. He often uses a well-received case study approach to education, with applications to disease. 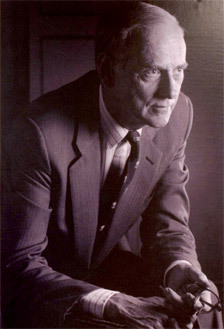 Dr. Baker was Co-Director of the medical course Metabolism and Nutrition. Harry Whittaker Memorial Teaching Award. Of all the tissues in the body, central nervous tissue is the most highly specialized and complex. It is highlighted by the neuronal cell - the transmitter of nervous impulses. The Baker Lab studies the metabolism of phospholipids and neutral glycerides (diacylglycerols and triacylglycerols) in various subcellular membrane fractions of brain. In particular the production of platelet-activating factor in neuronal nulclei during ischema is of central interest. Dr. Shana Kelley is a professor of biochemistry and pharmaceutical sciences and has taught biochemistry to undergraduate students for the last 10 years. Her research interests lie in the development of new technologies for disease diagnosis and drug delivery. Dr. Kelley's work has been recognized with a variety of distinctions, including:. named one of "Canada's Top 40 under 40"
The Kelley Lab research efforts are directed towards developing and engineering new sensors and probes for the study of biological function and the detection and diagnosis of disease. Projects underway involve diverse disciplines ranging from biomolecular chemistry to molecular biology, cell biology to materials science, and nanotechnology. Dr. Robert Murray did post-doctoral work at the University of Wisconsin, and returned to the University of Toronto to pursue a career in research and teaching medical students over the next 30 years. 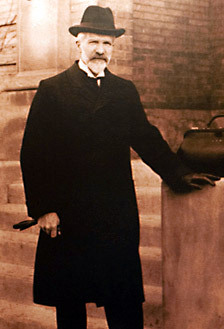 Dr Murray was the Director of the Metabolism and Nutrition Course in the Faculty of Medicine for three years. His main educational interest is to help students appreciate the importance of biochemistry in the understanding of health and disease. Dr.Murray has written and edited the classic textbook on biochemistry, Harper's Illustrated Biochemistry, that is used in universities across Canada, the USA, and international medical schools. Dr. Stavroula Andreopoulos obtained her PhD in pharmacology from the University of Toronto. Following post-doctoral fellowships at the University of Athens and the Centre for Addiction and Mental Health (CAMH), she joined the university as a faculty member. She is currently an Associate Professor, Teaching Stream, Undergraduate Coordinator and SCS-2472 Course Director in the department of Biochemistry. Dr. Andreopoulos lectures in Biochemistry’s two largest life science courses, with over 2000 students registered from a wide variety of programs. As Undergraduate Coordinator and SCS-2472 Course Director, she has contributed significantly over the years to undergraduate curriculum development and program administration, with focus on the implementation of technologically-enhanced tools and innovations, resulting in new modes of student interaction both in-class and online. the Excellence in Undergraduate Teaching in Life Sciences Award. 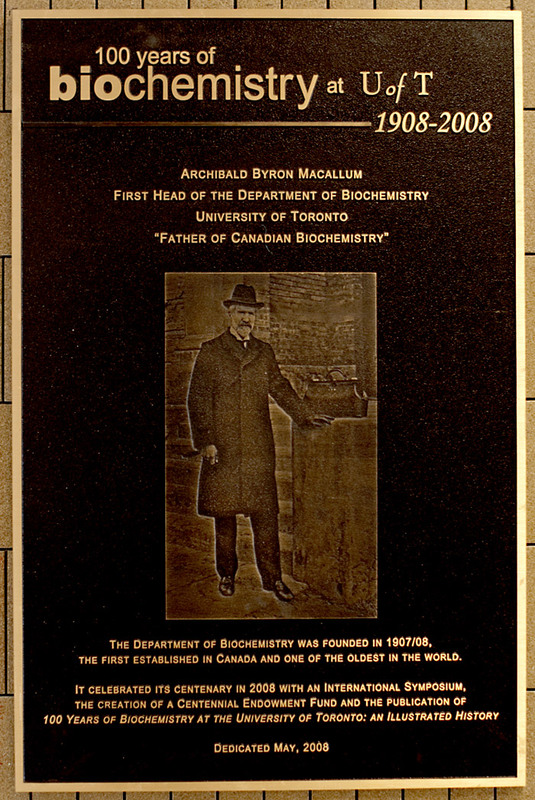 Founded in 1908 by Professor Archibald Byron Macallum, the Department of Biochemistry at the University of Toronto was the first department dedicated to this discipline in Canada and is one of the oldest in the world. The Medical Sciences Building at the University of Toronto, home of the Department of Biochemistry. Portraits of early chairs in the department, George Connell (left) and Archibald Macallum (right). The Department is within the Faculty of Medicine, and is the main resource for the teaching of biochemistry at the University of Toronto, for students in our Department, and all other life science disciplines. The robots room at the department. The X-ray diffraction facility in the department. The Faculty of Medicine at the University of Toronto is Canada's premier medical school. It has a world-wide reputation for excellence in medical education and in medical research. The medical school at U of T is the largest in Canada with some 1000 undergraduates and 2500 residents and post-graduate medical students training in its 10 fully affiliated teaching hospitals, including the world-renowned Hospital for Sick Children. SickKids is where the genes for the diseases cystic fibrosis and muscular dystrophy were first identified. 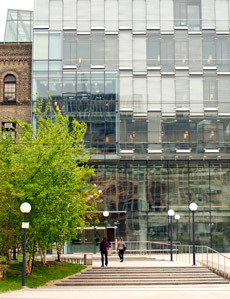 Entrance to the Donnelly Centre, a multidisciplinary research facilty for biochemical and biomolecular study at the University of Toronto. Statues of Banting and Best in the lobby of the Medical Sciences Building, University of Toronto. Banting and Best, discoverers of insulin, did their work at the University of Toronto. Oliver Smithies, who won a Nobel Prize in 2007 for his work on introducing genes into cells, developed a protein separation method, the starch gel electrophoresis, while in Toronto.